Special Offer for AIHce EXP2018 Exhibitors! Position your company in front of a powerful audience where 75% influence purchasing decisions and spend, on average $200k on products and services. AHMP’s National Conference is the essential forum for national and international information exchange and networking for the environmental, health, safety, and security (EHS&S) industry. Exhibiting at AHMP’s National Conference positions your company in front of these commanding professionals who are looking for suppliers like you to solve their companies’ needs and challenges. Exhibit and enjoy dedicated exhibit hours with receptions, breaks, and exhibitor prize raffles designed to lead your target audience directly to your booth. 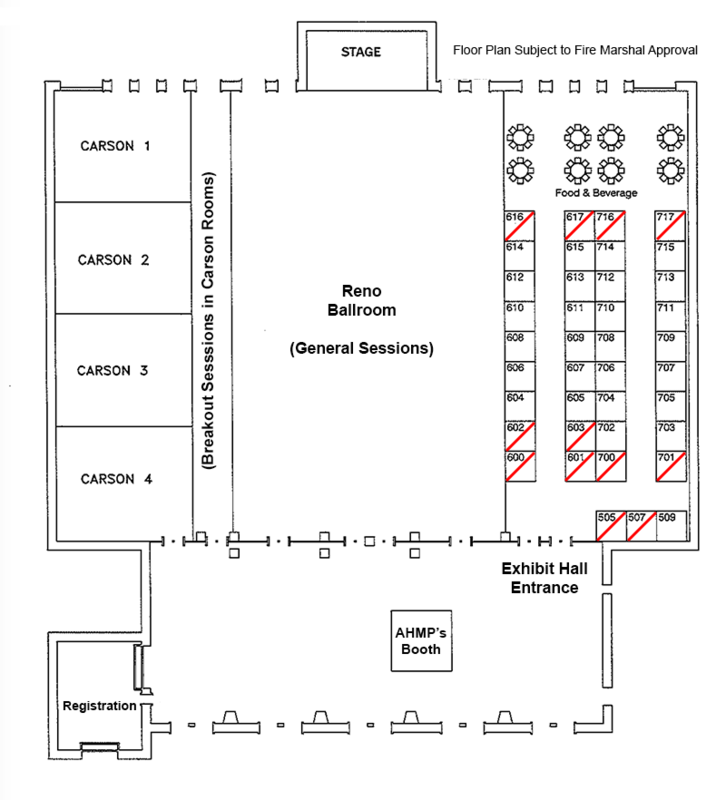 See below for the exhibit booth options, floor plan, exposition hours, and cancellation policy. To reserve booth space, fill out the application form and return the form with payment. If you have any questions, please contact Barbara Bienkowski.